The following article originally appeared in the Times Union on June 5, 2018. ALBANY — Officials marked the city's Second Annual Henry Johnson Day on Tuesday by rededicating a veteran's home and announcing the winner of a community service award, both of which are named to honor the war hero. Sgt. Henry Johnson was one of the first American heroes of World War I and he was among the last to be recognized by his country. In Albany, Johnson's story is legendary, retold in recent decades as his son and veterans groups and then politicians fought to win for him recognition for fighting off nearly two dozen German soldiers and saving a fellow soldier May 15, 1918, in France's Argonne Forest. It took 97 years for Johnson's valor to be fully recognized with a Medal of Honor. A combination of poor record keeping and Jim Crow-era racism kept his name buried but it was eventually pushed into the light after a drawn-out effort. Albany Housing Coalition Inc., rededicated the Sgt. Henry Johnson Veterans House at 180 First Street. Officials also presented Jahkeen Hoke, the founder of the nonprofit 4th Family Inc. with the Henry Johnson Award for Distinguished Community Service. 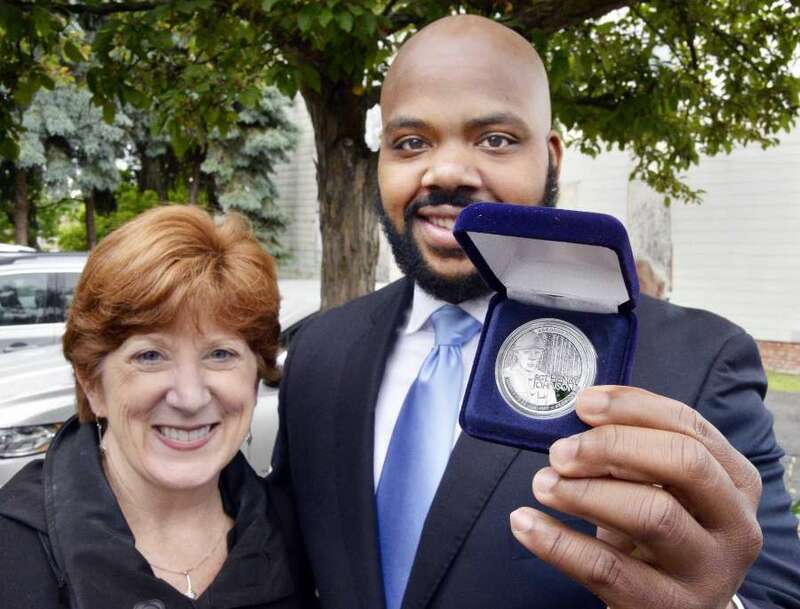 Hoke received a newly minted silver commemorative Henry Johnson Medal created by Ferris Coin. Hoke's nonprofit aims to change communities by nurturing, enabling and motivating inner city kids to pursue success. The organization targets at-risk youth in the Capital Region through mentoring, STEM and anti-incarceration programs. Because funding for community centers and after-school programs in Albany's economically disadvantaged, predominantly black neighborhoods is limited, 4th Family is filling a void and has recently been working to duplicate its programs in other parts of the nation.